Join Us at Morgans for Easter Sunday! Easter Sunday is right around the corner! Come celebrate at Morgans and enjoy a delicious selection of specials and 1/2 price bottles of wine ALL DAY! Join us for Hudson Valley Restaurant Week beginning Monday, March 11th through Sunday, March 25th and enjoy a special three-course, price-fix menu for Lunch ($22.95) and Dinner ($32.95). Check out our #HVRW menus below and book your reservations today! Check Out Our New Winter Menu! 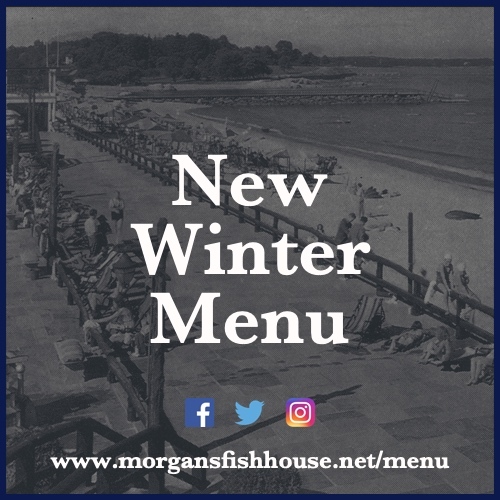 New Year, New Winter Menu! We are pleased to announce our NEW Winter Menu debuting today! We have a bunch of amazing new menu items that we’re extremely excited about and can’t wait for you to try! Check out our website to learn more and we look forward to seeing you here at Morgans soon! Vote Morgans for Best of Westchester 2019! Round 1 of voting for the 2019 Best of Westchester list is now open! Please take a second to cast your vote for Morgans in as many categories as you see fit! Thank you in advance for your continued support! Give the Gift of a Pearl Restaurant Group Gift Card This Holiday Season! Looking for the perfect stocking-stuffer? Secret Santa gift? Give the gift of a Pearl Restaurant Group Gift Card! Our gift cards don’t expire and can be redeemed at any of our seven (7) PRG locations! Give us a call or swing by to pick up your gift cards today! Host Your Holiday Party at Morgans! Planning a holiday party? Host it at Morgans Fish House! Perfect for a large group or an intimate gathering, we'll work with you every step of the way to ensure your event is a complete success! Get in touch today! Join us for the 5th Annual “A Taste of Rye” Saturday, September 29th, 2018. This annual bar crawl is a great way to spend your Saturday and all proceeds will go directly to My Sister’s Place in support of its efforts to end domestic violence. Get your tickets today! Vote for Morgans Fish House for Best of Rye 2018! Voting for the 2018 Best of Rye contest presented by the Rye Chamber of Commerce is NOW OPEN! Please take a second to cast your vote via the link below. Voting ends June 1. Thank you so much for your continued support! Celebrate Mother's Day at Morgans Fish House! Join us Sunday, May 13th for Mother's Day at Morgans! We'll be featuring a special Brunch Buffet and 1/2 price wine from 10a-3pm followed by a special Dinner menu from 3pm til close. Check out the link below to learn more and make your reservations today! Join us at Morgans on Easter Sunday for Brunch & Dinner!! Swing by and enjoy some amazing specials and 1/2 price bottles of wine til 3:30pm!! Kitchen hours 11a-8pm! Make your reservations today! Vote for Morgans Fish House for the 2018 Best of Westchester List! Vote for MORGANS for this year's Best of Westchester List! This round of voting is write-in only, so feel free to include us in as many categories as you'd like! Voting ends January 24th at 5pm! Thank you so much for your continued support! 'Tis The Season of Giving! Give the gift of a Pearl Restaurant Group GIFT CARD this Holiday Season! The perfect stocking-stuffer, our gift cards can be both purchased AND redeemed at any of our PRG restaurants. Give us a call or swing by to purchase your gift card(s) today! This Sunday, we'll be teaming up with Rye Health & Fitness to raise money for Juana Colon High School, a high school in Puerto Rico recently devastated by Hurricane Maria. Host Your Holiday Party at Morgans Fish House! Planning a holiday party? Host it at Morgans Fish House!! Whether it's for a large group or an intimate gathering, our party planners will work closely with you from planning through execution to ensure your event is a COMPLETE SUCCESS!! Join Us for the 4th Annual 'A Taste of Rye' to Benefit My Sisters' Place! Join us this Saturday, September 16th from 3:00p-5:30pm for the 4th Annual 'A Taste of Rye' presented by Julia B. Fee Sotheby's - a restaurant crawl to benefit My Sisters' Place and their fight to end domestic violence & human trafficking. Westchester's Seafood Scene is Off The Hook! Meander past the main dining room at Morgans to the back area, and you’ll find tall stools lining a bar overlooking the cook’s station. From here, it’s easy to watch the chefs searing scallops or encrusting yellowfin tuna in pretzels. Vote for Morgans to Win Chowdafest 2017! This fall, Morgans will be competing in Chowdafest, New England's largest chowder & soup competition, representing New York with our Manhattan Clam Chowder! While the competition is still a few months out, VOTE FOR US in their #PredictTheWinner Sweepstakes to be automatically entered to win a "Stay & Slurp" package for TWO! Vote every day to increase your chances through August 31st! Join Us for Mother's Day at Morgans! Celebrate Mother's Day at Morgans and enjoy some great Brunch and Dinner specials in addition to our regular Sunday menus! Celebrate Cinco De Mayo at Morgans! Join us at Morgans for Cinco De Mayo and enjoy half-price Casamigos Margaritas ALL DAY LONG!! Join Us for Hudson Valley Restaurant Week March 6-19! Join us for Hudson Valley Restaurant Week March 6-19th and enjoy a special price-fix menu for Lunch ($22.95) and Dinner ($32.95)! Vote for Morgans Fish House for This Year's Best of Westchester List! Vote for Morgans Fish House to be included in this year's 'Best of Westchester' list!! Voting ends tomorrow (Wednesday, 1/25/17) at 5pm!! Looking for the perfect gift this Holiday Season? Give the gift of a Pearl Restaurant Group GIFT CARD! Planning a Holiday Party? Host it at Morgans Fish House! The holidays are right around the corner and Morgans Fish House is the perfect venue to host any size party or event. Whether it's for a large group or an intimate gathering, we offer a variety of party package to accommodate your style, as well as your budget needs. Join Us for the 3rd Annual 'A Taste of Rye' to Benefit My Sisters' Place! On Saturday, September 24th from 3:00-5:30pm, Julia B. Fee Sotheby's International Realty and My Sisters' Place are proud to announce the 3rd Annual A Taste of Rye - a restaurant crawl to benefit My Sisters' Place. It's that beautiful time of year, when our days get a little longer and drinking something pink just seems to make everything better. We have selected a handful of rosés from around the world for you to enjoy with your meal or by itself. So go ahead, try one, try them all... you can't go wrong with Rosé!!! Morgans Selected as OpenTable Diners' Choice #LocalPickoftheMonth! Morgans Fish House has been selected as an OpenTable’s Diners’ Choice Local Pick for Best Seafood in Westchester/Hudson Valley! Celebrate Mother's Day at Morgans! Join us Sunday, May 8th as we celebrate Mother's Day at Morgans!! We're featuring a special menu and it promises to be a great day! 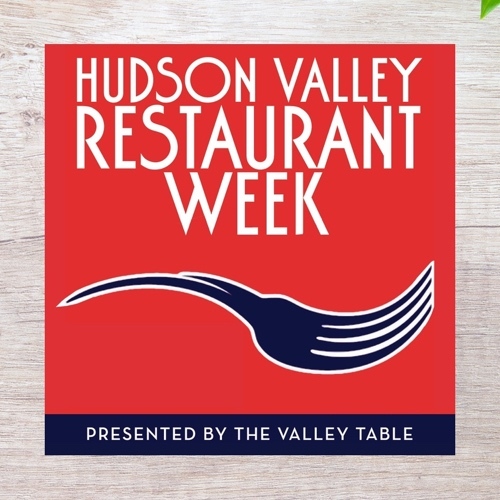 Join Us for Hudson Valley Restaurant Week, March 7-20, 2016! We'll be featuring a special, price-fix menu for Lunch and Dinner at $20.95 and $29.95 respectively. 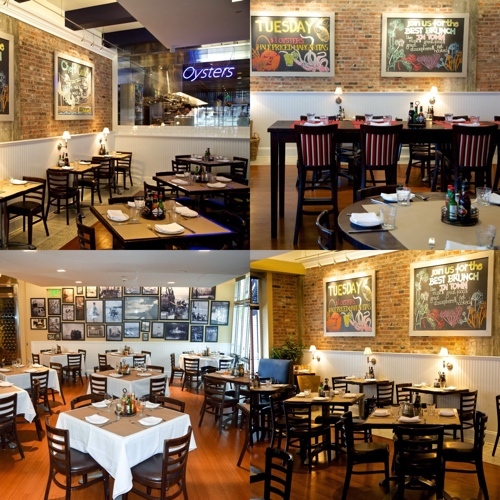 Vote for Morgans for Best Seafood Restaurant in Westchester! Voting for BEST OF WESTCHESTER is now OPEN. Vote for Morgans Fish House for BEST SEAFOOD RESTAURANT IN WESTCHESTER!! Voting closes Friday, Feb 5th @5pm! Morgans Fish House takes home both the People's Choice Award AND the Judge's Choice Award! The Holiday Season is right around the corner! Whether it's for business or pleasure, Morgans Fish House is the perfect venue for any size party or event!! RYE BRED (also affectionately known as Crimson Rose) will be coming together to perform LIVE at Morgans in honor of Homecoming Weekend! Saturday, October 10th at 10pm! On Saturday, September 19th, Morgans will be participating in the 2nd Annual "Taste of Rye' to benefit My Sisters' Place of Westchester County. Tuesdays at Morgan's is the place and time to be, as all oysters are $1, and you can get a margarita for half price. Currently, they have Sunset Beach, North Bay, Pleasant Bay, and Blue Point Oysters. We are proud to announce the release of our newly designed website. We encourage you to take a look around and let us know what you think.